SJV Youth will once again be attending Rise Melbourne 2019 - a festival being hosted for the young people of the Archdiocese of Melbourne to come to know and experience Christ! 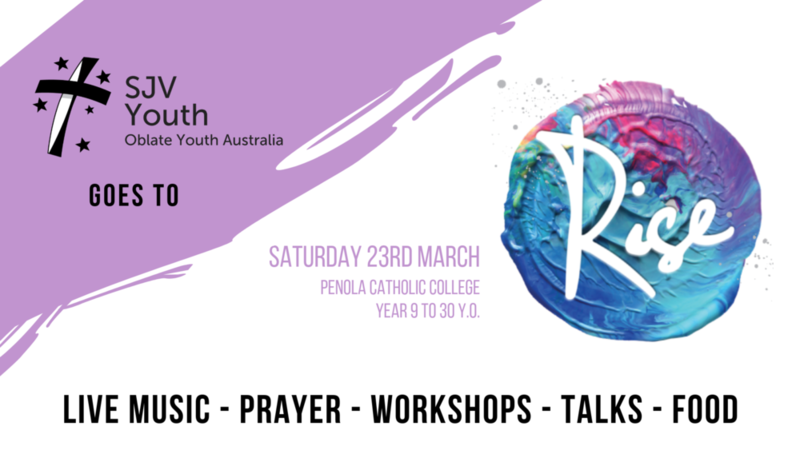 This event is being held at Penola Catholic College, Broadmeadows on Saturday 23rd March 2019 from 10am to approx. 9pm for participants from Year 9 to 30 years old. SJV Youth will be taking a group and covering the registration costs for the event - $20 per participant (does not include food - will need to be purchased at the event or brought from home). If you would like to participate with SJV Youth, please fill out the online registration form HERE by Monday 25th February. We will be providing transport for Under 18 participants ONLY - over 18 participants must make their own way to the event. Please find a letter for parents here which contains all the necessary details. If you have questions/concerns, please email sjvyouthoya@gmail.com.